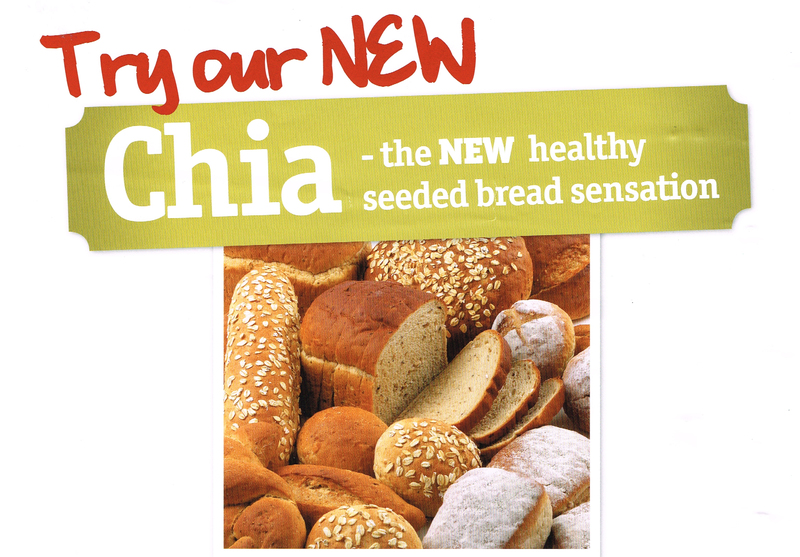 Introducing our new chia seed bread, a tasty slightly sweet bread made with 5% Chia seed, sour dough, oat meal, barley flakes, sugar & linseed. delicious with cheese or ham. Chia seed comes from the Chia plant (Salvia hispanica), is native to Mexico & South America and was origanally cultivated by the Aztecs. *Unique blend of essential omega fats, fibre, complex carbohydrates and protein, with a generous dose of antioxidants. *Provides a sustained release of energy to the body which keeps you fuller for longer. *Chia seeds contaion more antioxidants than blueberries. *Chia seeds are an excellent source of Calcium, Magnesium & Iron. So go on try one today! This entry was posted in Bread, News, Uncategorized and tagged Bread, Chia, multiseed, real bread, sourdough, Tasty. Bookmark the permalink.